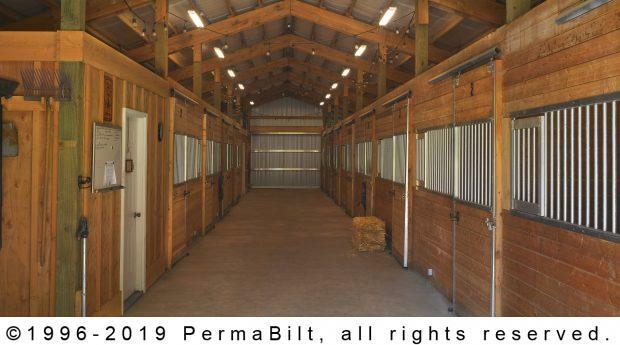 Having built thousands of horse pole barns since 1973, PermaBilt® has the expertise and experience to customize horse barns to the needs of owner and horse alike. 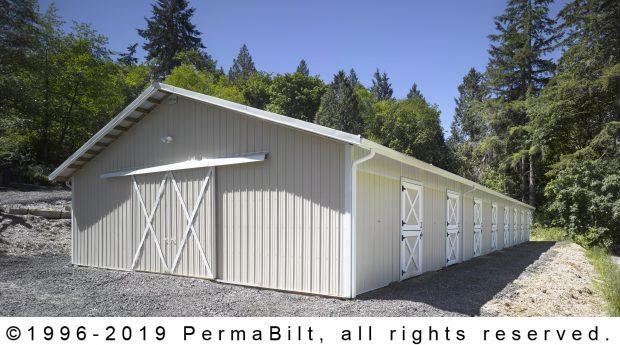 So when our repeat customer from Gig Harbor called about building a horse barn, our PermaBilt® Building Representative asked plenty of questions about size, layout, location, number of stalls, budget, doors, ventilation, etc. to make sure every aspect was covered. 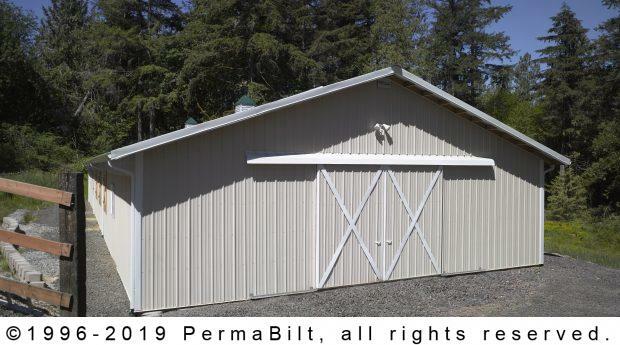 2’x2’ cupolas with weathervanes to thoroughly ventilate the space. 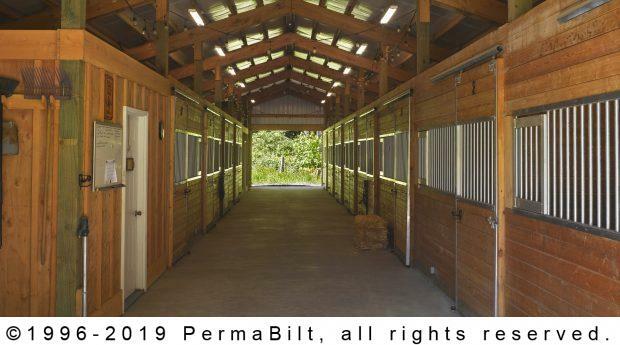 The building also has steel Dutch doors on one side to lead the horses directly from the stalls to the paddock. 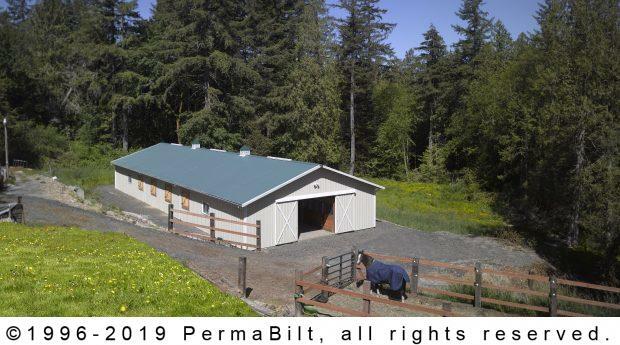 This customer was a horse lover through and through. 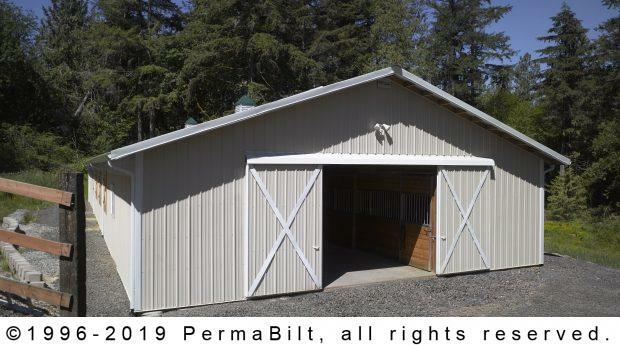 The customer built the pole barn to house Arabian horses – her true passion. 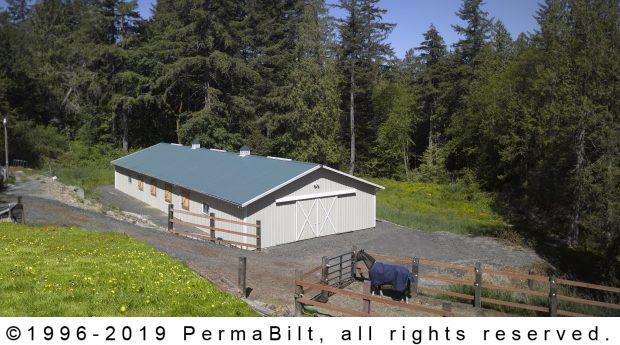 She currently breeds and raises Arabian horses out of the building and loves the new home her horses now occupy.